I was delighted to find the Friday Mashup! challenge blog this week. Two challenges in one! My creative juices were flowing immediately. Each week two challenges are presented. Crafty participants can incorporate one, or both into their papery creations. This week’s challenge (FM170) was to create a project using the sketch and to create a project using the Delft Tile Technique. I opted to mash it up and incorporated both challenges into my card. This was my first time trying the Delft Technique so the background took a few tries, but I am satisfied with the finished project. In real life I think the card is more shimmery than my photo captures. For this card, I kind of cheated by using a piece of My Mind’s Eye, Now & Then patterned paper instead of stamping my own background. I cut and scored the patterned paper to the same measurements as the tutorial. After scoring, I sponged on a light touch of Archival Brilliance Platinum Planet ink using Post-it tape to mask off each section. 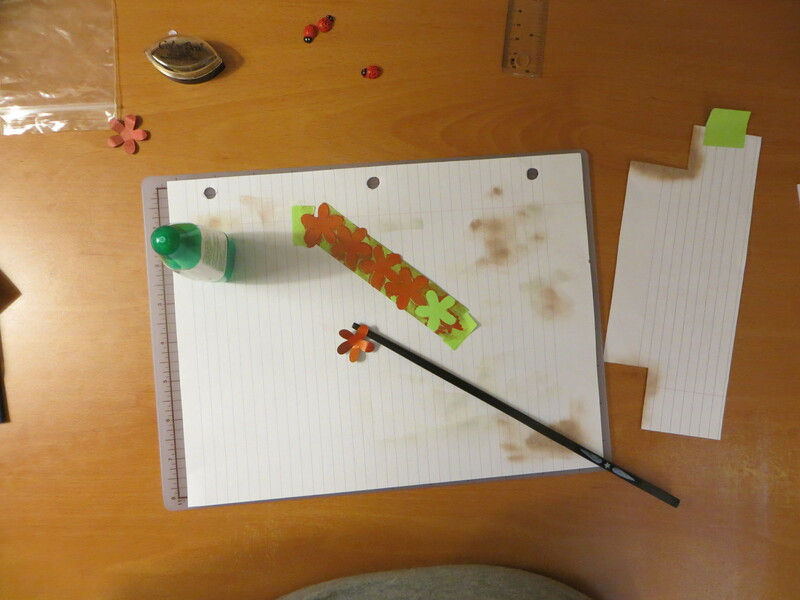 Next, I repeated sponging, again with the Post-it tape mask, but with Versa Color 55 Umber Ink. To create my embellishment, I cut out six five-petal flower shapes (say that 10 times fast!) using my Silhouette and coloured each one with a cherry red marker. I dabbed on some copper ink and then bent the petals into shape. 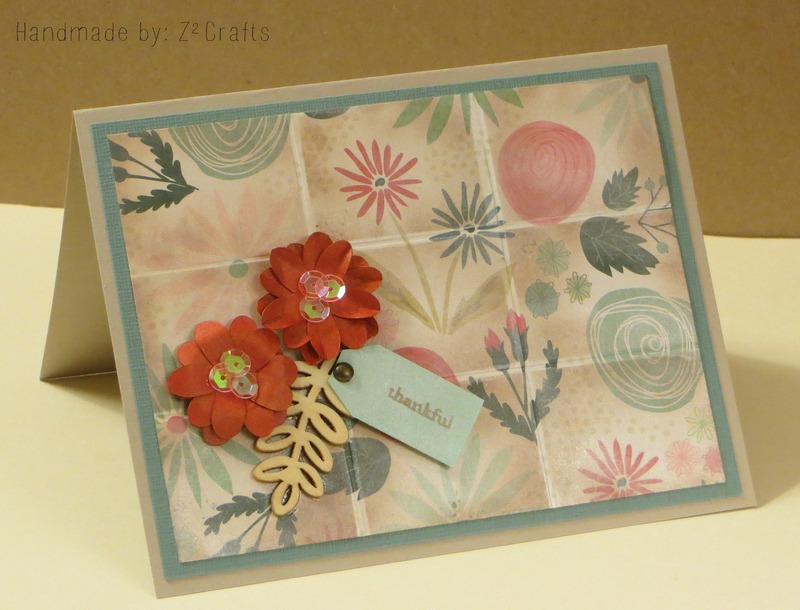 I glued three flower shapes together to make the larger flowers using Tombow Mono Multi Glue. To finish off each flower, I adhered some sequins to the centres using Glossy Accents. For the sentiment, I cut out a tag shape (using scissors) from some seafoam green cardstock and then dabbed on a smidge of Platinum Planet ink and stamped thankful with my 55 Umber. I used a 3/16″ brad to finish the tag. I adhered the wood veneer piece to the background with glossy accents and then used foam tape to adhere the tag and flowers. I backed the whole Delft background on some textured teal cardstock and then adhered the whole thing to my cardbase. Thanks for stopping by! I had a blast playing along.